The French company is currently a family-run group with international coverage. Forty years of innovation, from the first thermostat to connected homes and from "building management systems" to energy efficiency solutions. 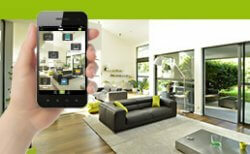 3 million homes are fitted with Delta Dore home automation solutions. Simple, accessible and scalable home automation solutions for private customers, to control their equipment in the home or remotely (heating, lighting, alarms, shutters, hifi, TV, etc.). 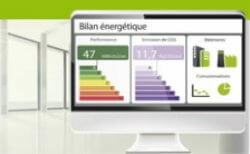 DELTA DORE provides advice and support to customers, from audits to continuous improvement of their energy efficiency: design and integration of multi-protocol BEMSs (Building Energy Management Systems), energy efficiency services with a guaranteed outcome, and multi-site energy management platforms. DELTA DORE offers manufacturers of boilers, radiators, air conditioning equipment,roller shutters and energy meters the benefits of its experience and expertise. We develop and manufacture electronic and radio-frequency solutions for them, enabling them to enhance their products and services. 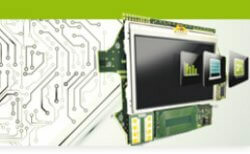 Our interfaces are simple and intuitive, ensuring they are easy to understand and use. We have sales and technical teams across all areas covered in order to offer a local, high-quality service. 150 staff and 10% of turnover dedicated to innovation in design, products and digital technology, which is a key feature of buildings today. Delta Dore has published more than 35 patents. Solutions entirely manufactured in France and valued by our customers for 45 years. our new services for private customers. a start-up specialising in remote video surveillance solutions and services. Acquisition of Spega (BMS solutions) and Atlantic RF. Subsidiaries opened in China, Italy, the United Kingdom, Singapore and the Philippines. Valérie Renault-Hoarau appointed General Manager. development of Building Management Systems business. Marcel Torrents appointed chairman of the Board of Directors. for the home. Subsidiary set up in Poland. (room thermostats) developed for homes. Founded by Monique and Joël Renault. Miniaturisation of our products, careful selection of raw materials and reduction in energy consumption of electronic devices manufactured. Compliance with directives prohibiting the use of hazardous substances in electrical and electronic equipment, and high level of protection for staff and the environment against risks associated with chemical substances. Financial contribution to recognised environmental organisations in France and recovery and recycling of packaging and waste electrical and electronic equipment. More than 10,000 commercial and industrial sites are fitted with Delta Dore energy management solutions. Here are a few satisfied customers.